Although a lot of people have played Batman’s nemesis The Joker over the years, very few incarnations of the character have been played by actors actually known for telling jokes. Sure, Mark Hamill seems like he’d be a lot of fun to hang out with, and Heath Ledger milked nervous laughter from the audience with his bravura performance in the The Dark Knight. But for whatever reason, the Clown Prince Of Crime tends to attract actors from the serious side of the tracks. Of course, the character isn’t usually made of Danish plastic, or pitted against the cast of Arrested Development, either, so it’s not surprising that the upcoming Lego Batman is bucking the Serious Joker trend. 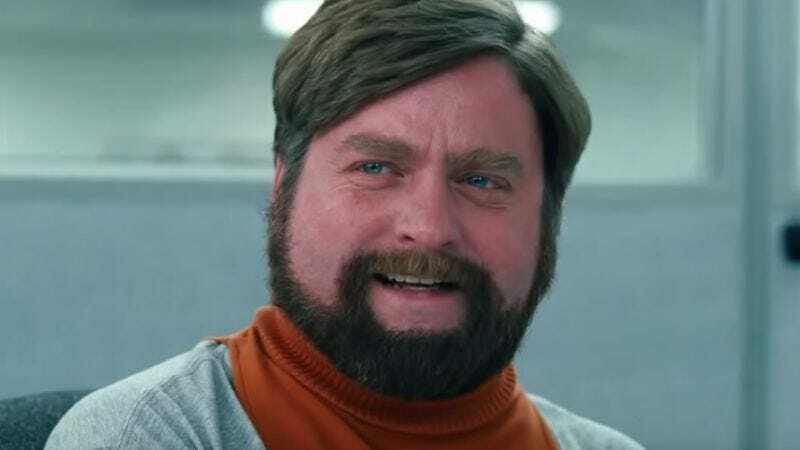 Zach Galifianakis is apparently in talks to play the green-haired master criminal, cracking wise opposite Will Arnett’s growling Batman, finally giving the world the G-Force reunion it’s been demanding all these years.